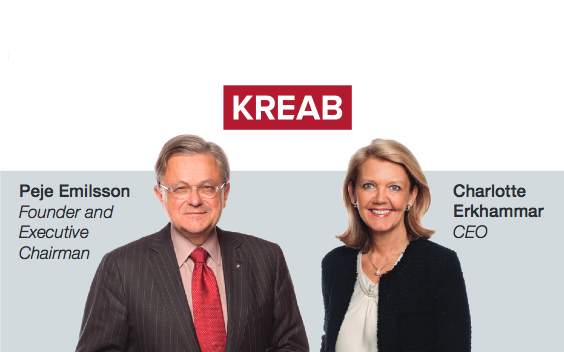 Communications consultancy Kreab Gavin Anderson evolves its brand and shortens its name to Kreab. In 1970, Peje Emilsson and Jan-Erik Ander founded Kreab in Sweden. The company later merged with US based Gavin Anderson & Co, which was founded in 1981 with a focus on financial communications. Since 2009 the company has operated globally under the name Kreab Gavin Anderson; the name change to Kreab takes effect from 1 February 2015. "Our company has continuously evolved over the past five decades, through changes in the economic and political environments, market conditions and technology developments. Our new name is another step on that journey," said Jonathan Kushner, head of Kreab Asia and managing partner Japan. The agency says it serves about 500 clients in 25 countries and will continue to focus on strategic advice in corporate and financial communications as well as public affairs. In Asia Kreab claims offices in Australia, China, Hong Kong, Japan and Singapore with affiliate firms in India. Emilsson is the executive chairman and majority owner and founder. Charlotte Erkhammar is the company's global CEO. The headquarters remains in Sweden.